Join the guys as they rock the Thunder Beach Autumn Rally with an exclusive beachside performance at the beautiful Holiday Inn Resort in Panama City Beach! 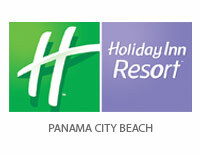 Located directly on the Gulf of Mexico, the Holiday Inn Resort is the premier hotel on Panama City Beach. With 340 Balcony rooms, a huge tropical pool, three restaurants and 2 bars, an array of activity programs and gulf front spa, it is easy to see why the Holiday Inn Resort is the best choice for Thunder Beach 2016! For reservations call 800.633.0266 and tell them you’re coming to see ELI at Thunder Beach!